In response to many people who have enjoyed the lyrics of “Ive Had Good Ride and requested more information about the song and in celebration of women riders and return to the Sturgis Rally , and the South Dakota hills we introduce our song “I’ve Had a Good Ride” from our BandPage and MyStore tabs. In addition to the grateful reunion with old friends theme the song also references real life teachings and how not to believe everything you hear or read in the media with the line “ don’t read all the writing on the wall”. It also invites you to take life “all in” and enjoy the good times but also take an inner look at the end of the day or your life and ask yourself have you “Had a Good Ride”? 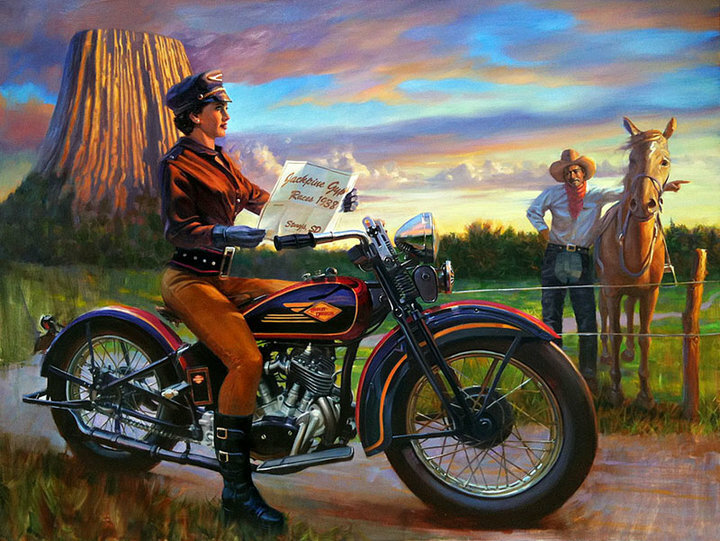 In keeping with the Sturgis theme and a tribute to women riders we also wanted to show off David Uhl’s most recent Sturgis themed painting “70 years and Counting”. The painting features incredible detail from Devils Tower right down to the 1938 Jackpine Races map in our lady contestants hand. Here’s to all the lady riders everywhere and hoping you always “Have a Good Ride” through life. Remember Lifes too Short for Traffic so Rock N Roll on the Open Road! 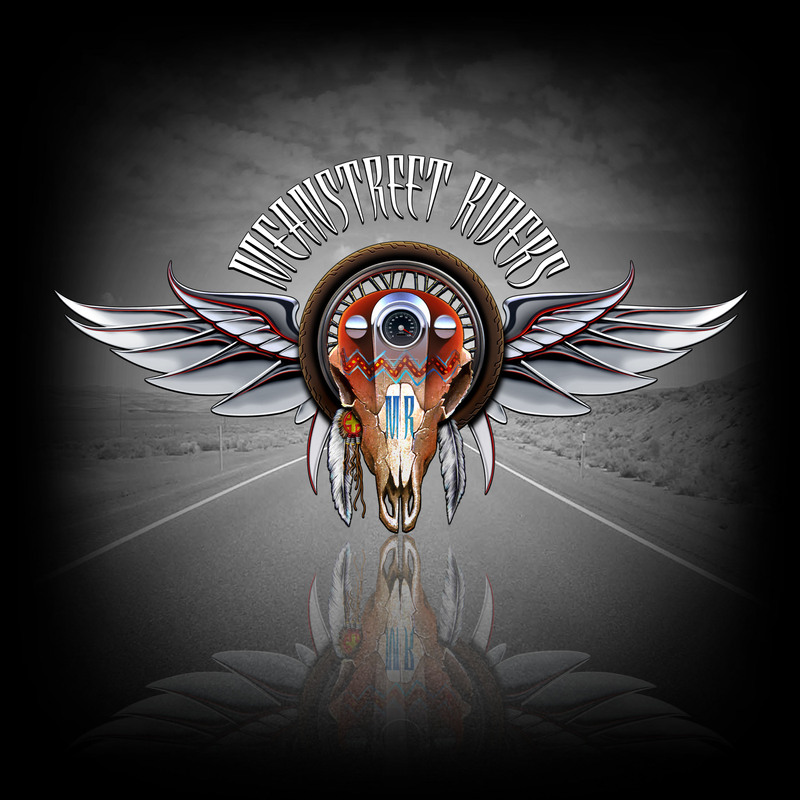 The MeanStreet wanted to debut their new logos that exemplify their love for Rock and Roll and the Open Road. The logos were created by our friends David Uhl and Danial Stuckenschneider at UHL Studios in Golden Colorado. The details are an amazing shot of the open road, and a blend of the riding culture with a lost Americana twist. The logos and will be available on riding apparel later this year. Thanks again David and Danial for such a great job from all the riders around the world that have discovered Life truly does begin at the off ramp.